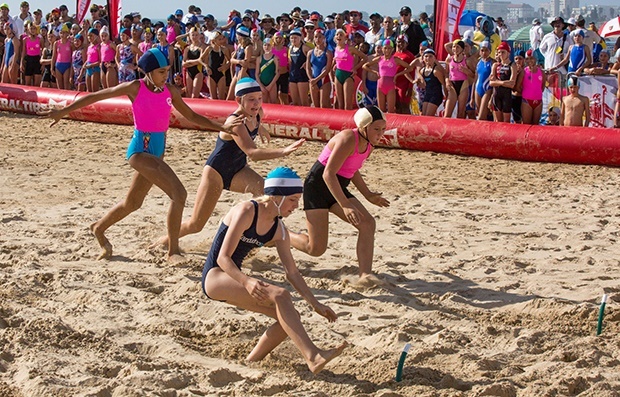 Cape Town - Sport24 previews the General Tire Lifesaving South Africa National Club Championships in Port Elizabeth, which brings together 1 700 athletes from more than 40 clubs. These athletes will compete in 528 events over seven days. If there’s one day you want to be at Kings Beach in Port Elizabeth next week then it’s the sprint showdown between Western Cape veteran Ryle de Morny and KZN’s Jonathan Rorke. De Morny is the most celebrated South African men’s lifesaving champion in the history of the sport. He has won 10 World Championship Medals and at the most recent World Championships took gold in the flags. De Morny is the hot favourite to sizzle in the flags, where he won gold last year. But it is in the sprint where he will face his main challenge in Rorke. The young KZN sprinter stunned De Morny in Camps Bay in 2017 and then again beat him in Port Elizabeth in 2018. De Morny, a year ago, lauded Rorke’s form and insisted he did not lose because of complacency. Victory for Rorke would mean an unprecedented triple sprint success. Surf Ski world champion Nic Notten is another of the red-hot favourites expected to translate his international form into gold at the National Championships. Notten’s brother Dominic should also feature prominently among the medals. Umhlanga Rocks’ Connor Botha will also be in Port Elizabeth. Botha, who along with Durban Surf’s Milan Erasmus broke a world record at the Adelaide World Championships, has just returned from a successful campaign in Australia. The majority of the South African youth squad, whose athletes combined to finish fourth from 16 countries at the Junior World Championships in Australia, will compete. Team South Africa’s fourth place was the best ever result for South Africa’s youth in the history of the competition and all 12 male and female squad members won a medal in the final tally of 21. *General Tire is into its third year of sponsorship of Lifesaving South Africa and was the first premier corporate to invest in the sport.